Concerns are the different aspects of software functionality. For instance, the "business logic" of software is a concern, and the interface through which a person uses this logic is another concern. The separation of concerns is keeping the code for each of these concerns separated. Changing the interface should not require changing the business logic code, and vice versa. The most effective way to break applications is to create GOD classes. A God class is a class that knows too much or does too much. The God object is an example of an anti-pattern. God classes keep track of a lot of information and have several responsibilities. One code change will most likely affect other parts of the class and therefore indirectly all other classes that use it. That, in turn, leads to an even bigger maintenance mess since no one dares to do any changes other than adding new functionality to it. Making sure that a class has a single responsibility makes it per default also easier to see what it does and how you can extend/improve it. The preceding code snippet allows us to calculate the area of two shapes (Rectangle and Circle). If we try to add support for a new kind of shape we will be extending our program. We can certainly add support for a new shape (our application is open for extension), the problem is that to do so we will need to modify the getArea function, which means that our application is also open for modification. The new solution allows us to add support for a new shape (open for extension) without modifying the existing source code (closed for modification). We used the interface Shape to ensure that our program is open for extension but closed for modification. The Liskov substitution principle tells us that we should be able to pass any subtype of Shape to the getArea function without altering the correctness of that program. In static programming languages like TypeScript, the compiler will check for us the correct implementation of a subtype (e.g., if an implementation of Shape is missing the area method we will get a compilation error). This means that we will not need to do any manual work to ensure that our application adheres to the Liskov substitution principle. The interface segregation principle helps us prevent violations of the single responsibility principle and the separation of concerns principle. The problem is that adding a method named serialize to the Shape interface is a violation of the SoC principle and the single responsibility principles. The Shape is a business concern and being serializable is an infrastructure concern. We shouldn’t mix these two concerns in the same interface. Using multiple interfaces instead of one general-purpose interface has helped us to prevent a violation of the SoC principle (the business layer doesn’t know anything about serialization) and the Single responsibility principle (we don’t have a class God class that knows about both the serialization and the calculation of the area). We can argue that RectangleDTO and rectangle Rectangle are almost identical and they are a violation of the "Don't repeat yourself" (DRY) principle. I don't think it is the case because while they look the same, they are related to two different concerns. When two pieces of code look alike, it doesn't always mean that they are the same thing. Also, even if they are a violation of the DRY principle, we would have to choose between violating the DRY principle or the SOLID principles. I believe that the DRY principle is less important than the SOLID principles and I would, therefore "repeat myself" in this particular case. The dependency inversion principle tells us that we should always try to have dependencies on interfaces, not classes. It is important to mention that dependency inversion and dependency injection are NOT the same thing. 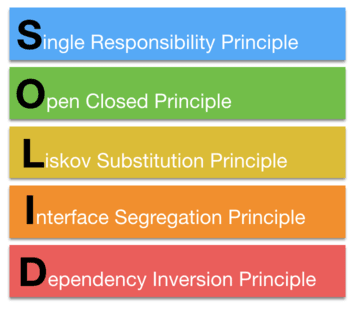 Depending on an interface that follows the interface segregation principle allows us to isolate a layer from the implementation details of another layer (SoC principle) and helps us to prevent violations of the single responsibility principle. Depending on an interface also allows us to replace an implementation with another (Liskov substitution principle). Depending on an interface enables us to write applications that are open for extension but close for modification (Open/close principle). 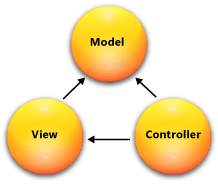 The MVC design pattern separates an application into three main components: the model, the view, and the controller. Model objects are the parts of the application that implement the logic for the application's data domain. Often, model objects retrieve and store model state in a database. For example, a Product object might retrieve information from a database, operate on it, and then write updated information back to a Products table in a SQL Server database. Views are the components that display the application's user interface (UI). Typically, this UI is created from the model data. An example would be an edit view of a Products table that displays text boxes, drop-down lists, and checks boxes based on the current state of a Product object. Controllers are the components that handle user interaction, work with the model, and ultimately select a view to render that displays UI. In an MVC application, the view only displays information; the controller handles and responds to user input and interaction. For example, the controller processes query-string values and passes these values to the model, which in turn might use these values to query the database. The MVC pattern helps you create applications that separate the different aspects of the application (input logic, business logic, and UI logic) while providing a loose coupling between these elements. The pattern specifies where each kind of logic should be located in the application. The UI logic belongs in the view. Input logic belongs in the controller. Business logic resides in the model. This separation helps you manage complexity when you build an application because it enables you to focus on one aspect of the implementation at a time. For example, you can focus on the view without depending on the business logic. The loose coupling between the three main components of an MVC application also promotes parallel development. For example, one developer can work on the view, a second developer can work on the controller logic, and a third developer can focus on the business logic in the model. The Model-View-Controller (MVC) design pattern is an excellent example of separating these concerns for better software maintainability. The MVC pattern helps us to decouple the input logic, business logic, and UI logic. However, the model is responsible for too many things. 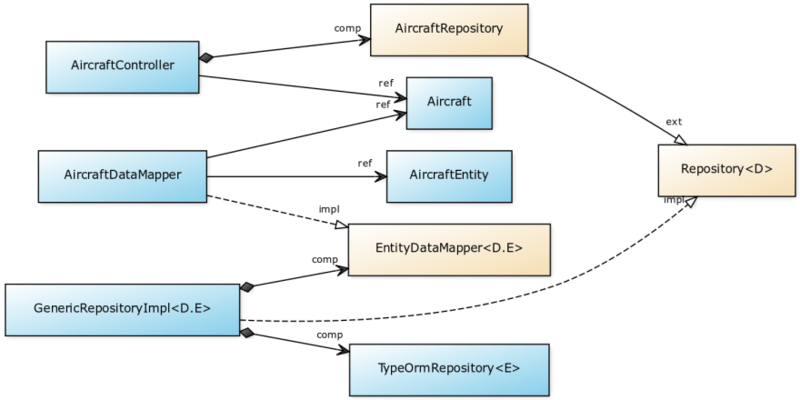 We can use a repository pattern to separate the logic that retrieves the data and maps it to the entity model from the business logic that acts on the model. The business logic should be agnostic to the type of data that comprises the data source layer. For example, the data source layer can be a database, a static file or a Web service. It provides a flexible architecture that can be adapted as the overall design of - the application evolves. The repository creates queries on the client's behalf. The repository returns a matching set of entities that satisfy the query. The repository also persists new or changed entities. The following diagram shows the interactions of the repository with the client and the data source. Repositories are bridges between data and operations that are in different domains. A common case is mapping from a domain where data is weakly typed, such as a database, into a domain where objects are strongly typed, such as a domain entity model. A repository issues the appropriate queries to the data source, and then it maps the result sets to the externally exposed business entities. Repositories often use the Data Mapper pattern to translate between representations. Repositories remove dependencies that the calling clients have on specific technologies. For example, if a client calls a catalog repository to retrieve some product data, it only needs to use the catalog repository interface. For example, the client does not need to know if the product information is retrieved with SQL queries to a database or Collaborative Application Markup Language (CAML) queries to a SharePoint list. Isolating these types of dependences provides flexibility to evolve implementations. 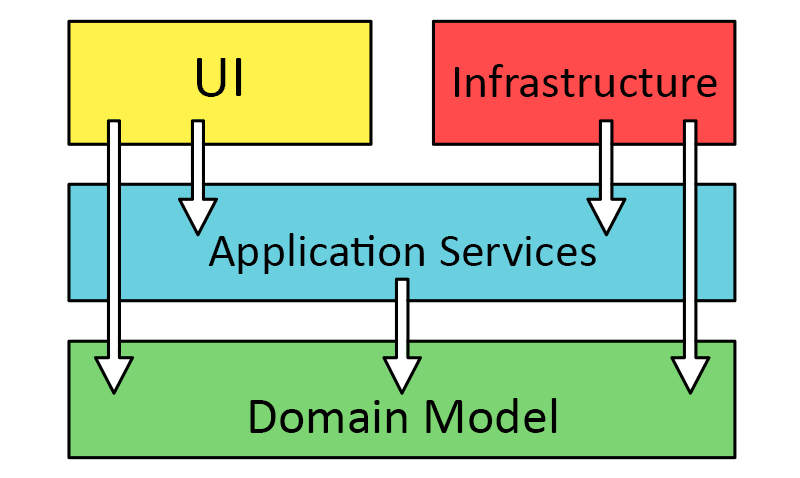 The central layer is the domain model. 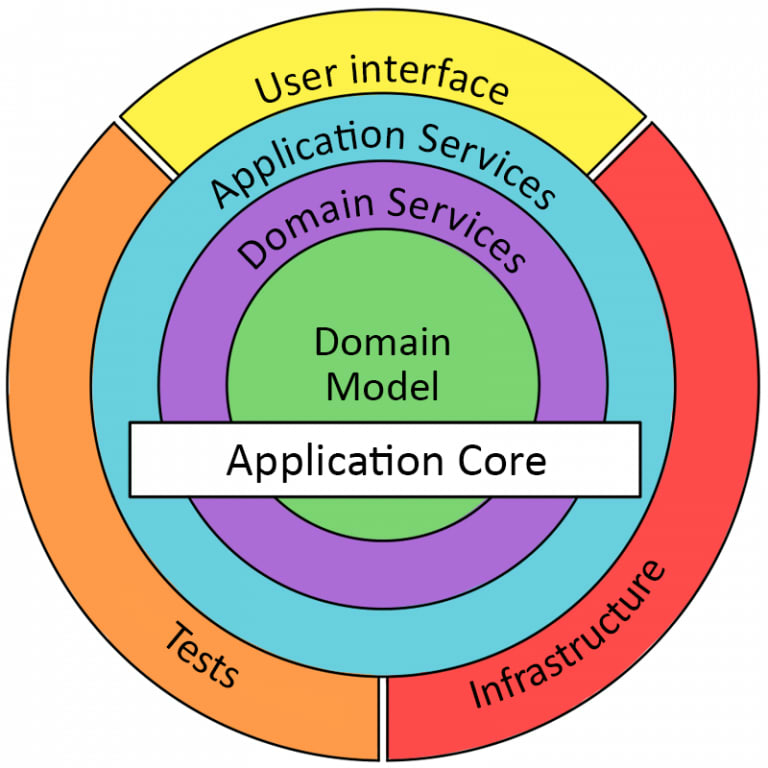 As we move towards the outer layers, we can see the domain services, the application services and, finally, the test, infrastructure, and UI layers. In functional programming, one of the main architecture principles is to push side-effects to the boundaries of the application. The onion architecture also follows this principle. 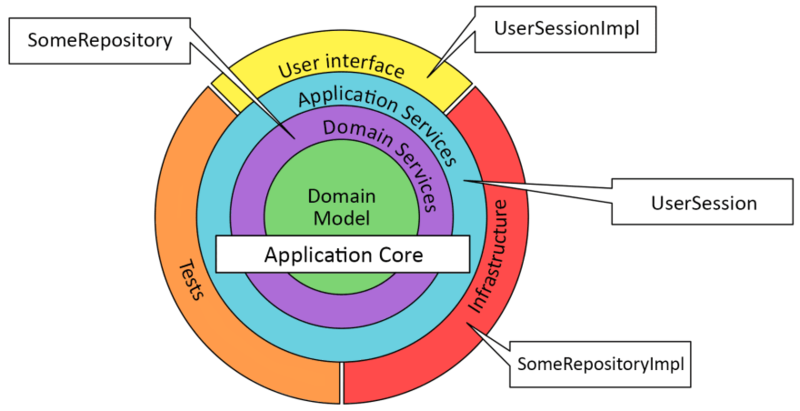 The application core (domain services and domain model) should be free of side effects and implementation details, which means that there should be no references to things like data persistence (e.g., SQL) or data transportation (e.g., HTTP) implementation details. The domain model and domain services don’t know anything about databases, protocols, cache or any other implementation-specific concern. The application core is only concerned about the characteristics and rules of the business. The external layers (infrastructure, test and user interface) are the ones that interact with the system resources (Network, Storage, etc.) and is where side-effects are isolated and kept away from the application core. The arrows in the diagram have different meanings the “comp” arrow defines that AircraftRepository is a property of AircraftController (composition). The “ref” arrow defines that AircraftController has a reference or dependency on Aircraft. We will now take a look at the AircratRepository and Repository<T> interfaces which is part of the domain services layer. AircraftRepository is going to be implemented by a class named AircraftRepositoryImpl. This particular Repository<T> implementation expects an EntityDataMapper and a TypeOrmRepository to be injected via its constructor. Then it uses both dependencies to read from the database and map the results to domain entities. This architecture has worked very well for me in large enterprise software projects over the last ten years. I also ended up breaking up some colossal monolithic onions into microservices that follow the same architecture. I like to say that when we have microservices that implement the onion architecture, we have a "bag of onions". I hope you enjoyed the article! Please let me know your thoughts using the comments or at @RemoHJansen. I have had this discussion before with friends that started on dynamic languages and are now enamored with types and the SOLID principles. Dependency injection and nonsense like 300 interfaces are the things that drove half of the Java community to move to Ruby and Python 10 uears ago. Coming up next, Fizz Buzz Enterprise Edition in Typescript, because serious node.js code is written by serious businessmen to support serious businesses. Honestly though, I recommend you read Eloquent Ruby to learn new idioms that make sense on dynamic languages. I can do TDD / design by contract with confidence. If I'm implementing a type, the first thing that I can do is click on "Implement interface" on my IDE and it will create a default implementation. If my implementation is a violation of the interface I will get a compilation error. While I implement this controller, another engineer in my team can be creating an implementation of AircraftRepository. We can work in parallel and we know that there will be no integration issues because the interface is a contract between us that cannot be violated by either side. I can use declarative routing @controller("/api/v1/aircraft") without the need to implement a factory for my controller by hand. I have a lot of metadata that can be used for things like generating UML diagrams or Open API definitions. If I need to refactor something I can do it with confidence, a change in the contract will break all the related parts. I know exactly what is left for my refactoring to be completed. I can also use InversifyJS to implement interception (This is not documented in the example but it is supported by inversifyJS). This allows implementing an aspect (e.g., logging) while keeping my entire code base free of logging concerns. These advantages make a difference for me and I enjoy them. This is why I advocate this approach and I'm sure I'm not alone because there are a lot of emerging Node.js libs and frameworks in this space and some of them are becoming very popular (e.g, nestjs.com/). I can agree that if you are used to that way of working and actually enjoy it (personally I'm a J2EE refugee and enjoy the fact that I've left that world of pain), sure, have a blast. In actuality an API is a contract. OO interfaces are really just one way to go about them and not necessarily a better one. But as IDE support is a given using interfaces, I can imagine circumstances where that might be preferable to documenting an API or adhering to agreements, but IRL I've never run across such a situation, yet I've dealt with incredibly slow progress and numerous pain-points in OO-heavy codebases using these patterns (despite working with stellar engineers). I'm not even interested in going into a debate on typing. The thing is that there are no conclusive proofs that types reduce bugs at all (but abandoning OOP for functional programming apparently does), and one can sprinkle Typescript or native type annotations where one finds them needed without full-on commitment (where lack of strict types has actually helped dynamic languages and JSON to flourish in this world of distributed software and fast-changing APIs). The "without the need to implement a factory" and "generating UML diagrams" bits in your comment do say a lot too. The long and short of it - layers don't encapsulate, they abstract. When we moved to CQRS-style architectures, just the object models that is, we were able to ditch all those service/repository layers in favor of queries and commands. The result was truly SOLID, as opposed to our onion architecture, which I finally saw as a gross misunderstanding of SOLID and OO principles. I just watched your talk and maybe I'm getting it wrong but it seems like you are not happy about the n-tier architecture, not the onion architecture. They are actually quite different (I have also experienced the n-tier pain). One of the things you mention is that you are able to change the used ORM tool. In the onion architecture, this is perfectly possible. In fact, we migrated from sequelize to TypeORM and it was a small job. When a system becomes more complex, the onion architecture can be combined with the CQRS and the Unit of work patterns and when it becomes even more complex it can be split into "a bag of onions". No, this was an onion architecture, your second picture, not n-tier. Like literally the dude that invented the term, this was the project and we moved away after a few months. So we start with CQRS and only add any kind of layering like onion as necessary. It's just been 8 years going CQRS-first, and have yet to really need any layers. No abstractions, nothing like a repository or service layer, nothing like that. Just unnecessary. "The long and short of it - layers don't encapsulate, they abstract." Effing nail on the head there mate. We've been slowly massaging our front end away from onion because of exactly that over-abstraction to the point of sprint velocity crushing complexity. It also lead to a lot of premature generalization. I enjoy not having to think about threads and deadlocks (non-blocking I/O and single threaded). I like being able to share code between my front end and my backend (e.g., some interface declarations and domain entities). I like the fact that Node.js is self-hosted (don't have to deal with tomcat or anything like that). I like that the whole thing is very lightweight (except the node_modules folder xD). This is cool for me, after a long time thinking about this topic (I'm quite passionate about this topic), I have reached the conclusion that it is not right or wrong. If monkey patching works well for you and your team that is awesome. I stand on the other side: monkey patching and lack of static types don't work well for me. I appreciate questions like yours because as I said I love thinking about this topic :) When I wrote this article I wasn't saying "This is the way you should build Node.js apps", what I was trying to say was "This is the way I've been building very large monolithic apps, with large teams and it has been working very well so far". Yes, I totally understand what you are saying. DI it's pretty cool and it's something that I suffered while I was a working with Ruby. I mean, you can redefine methods or classes at execution time when you need it. But it could be pretty complex at the beginning. Like you say, there's not good or right for this kinds of topics. Hi Remo! Great post! Thanks for sharing!! Is the source code available somewhere? i.e github, etc? 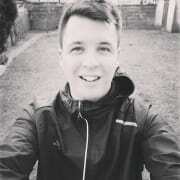 what is the project template did you use in your sample source code? thanks. The code samples are based on some proprietary code that we created at my current job. I cannot share the original source code as I described already. Sorry. Wow...Really good work with the blog, finally found an example that totally makes sense. Thank you so much, been searching ages for a decent JS example that ties in with DDD and SOLID. Would love to see the source code for the actual blog. Saw the small demo example and it is very neat. I don't understand why others cant see the benefits of DDD and SOLID. Is there a way to see the private example? I think you forgot to add the Serializable interface to the Rectangle class in the Interface Segregation Principle section so that it can use the serialize() method. It was, and sometimes still is, the same in other languages. For example I know PHP developers who likes global functions, unclean architecture or everything with static calls, or don't use things like namespaces right. As someone who loves this kind of architecture, It was a great read! I need to look more at Typescript, InversifyJS, and TypeORM. 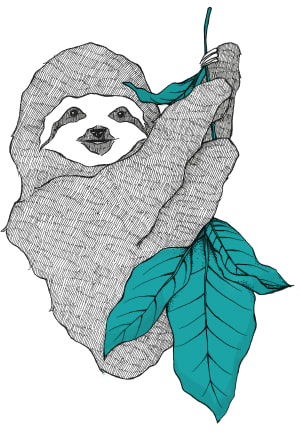 It seems a viable alternative to PHP for OOP projects. (Not that I want to replace PHP in my stack, but its always great to have another option, mostly for some projects that could benefit from the NodeJS ecosystem). Extremely nice post! Well explained SOLID and onion architecture with good examples, thanks! don't you think it smells that you need to have your IoC framework decorators inside the lowest level layers such as the domain? Uncle Bob in Clean Architecture specifically suggests to avoid that.. the IoC is also just an implementation detail. I couldn't find where you use the "Application Layer". isn't it missing? for example "create new Aircraft" should not be considered a use-case belongs to the Application Layer? As far as I understand, domain services should be introduced when you have a domain business rules. but in your case, you put there operations which don't hold any business rules ("get all aircrafts" for example). I think it indicates that it does not belong there. I even picked at the demo you shared (github.com/stelltec/public-tech-de...) and there is not even a folder for this layer. The guy put those operations in the application layer for example. do you think he's wrong? Any one know what is @dal? Hi @RemoHJansen, I'm switching from Golang to Typescript, i dont know to discriminate standard library in Typescript. Please let me know how to discriminate standard library. Thanks you! What do you mean by "discriminate standard library"? 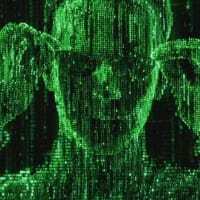 How do you know what is standard library in Nodejs and Typescript? In Golang i prefer to use standard library(golang.org/pkg/). If in this list there isn't library which i need, i must pick thirt party library. Why do you need the EntityDataMapper? why not use the domain entity directly? I am curious about how did this work with typeorm and how did your DalEntities synced with the database ? We use the data mapper because we don't want to "pollute" our entire application with data-access concerns. The TypeORM entities are data-access concerns because they are a 1-to-1 map to the database tables and contain database-related metadata added via decorators. We use the domain entities instead in the entire system but the data access layer (DAL) cannot use domain entities to persist them (via TypeORM). So the data mapper job is to translate in and out of the DAL from domain-entity-to-orm-entity (in) and from orm-entity-to-domain-entity (out).